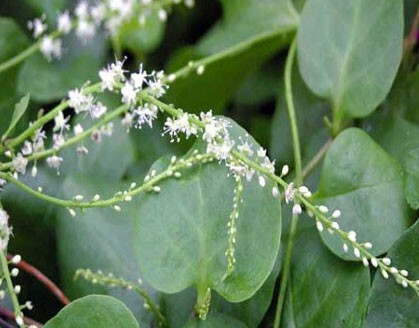 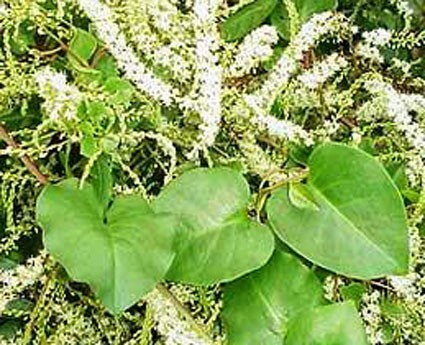 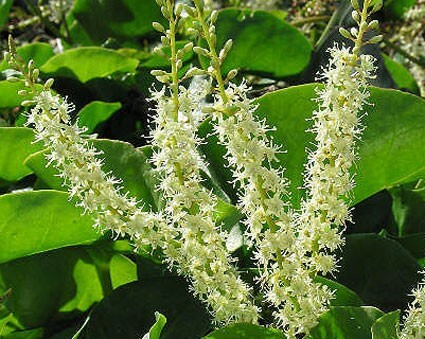 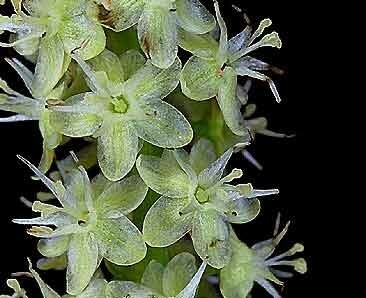 "Madeira Vine" or "Mignonette Vine" From tuberous roots rise rapidly growing stems with succulent leaves and racemes of heavily fragrant white flowers. 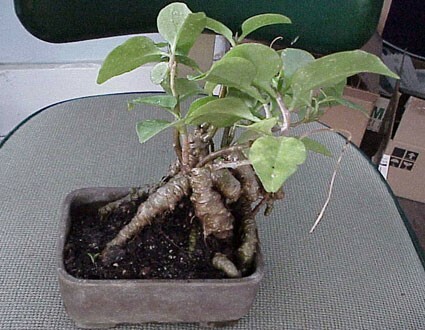 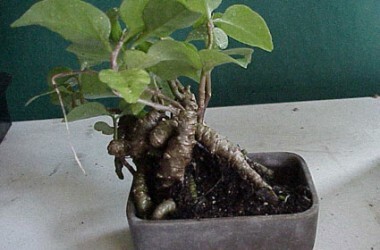 Argentina native, thus the tubers are persistent in subtropical zones if below any frost line; in the north, either dig or bring in the container for winter. 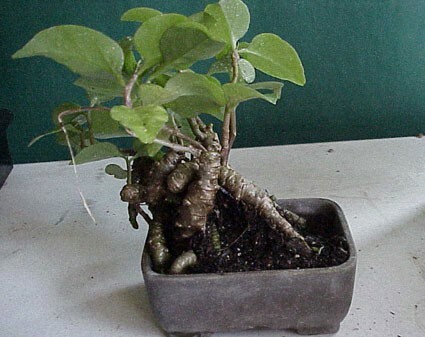 Nonetheless, always a favorite as a vigorous intensely fragrant windowgarden plant.